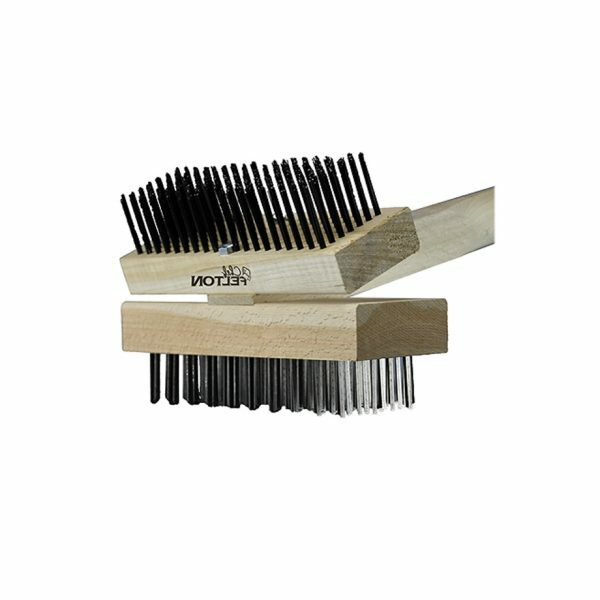 The ‘perfect’ broiler or grill cleaning brush – #1 Steakhouse favourite. 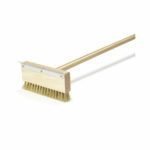 Double-sided brush head is perfectly angled to facilitate faster and more efficient cleaning of the broiler or grill. Hardwood blocks are fulled with two kinds of wire for a versatile brush: Super aggressive flat steel wire in 5×10 bows for a chisel-like action to remove burnt-on carbon. Round steel wires in 6×19 rows to remove remaining dust and debris. 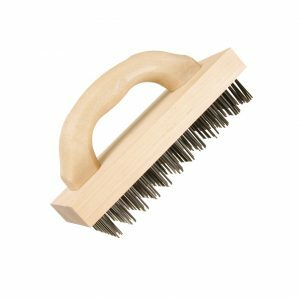 The super strong, and easy-to grip 48″ handle is made of 1″x1-1/2″ sanded-smooth hardwood. 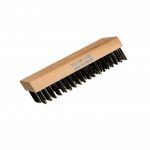 Lasts 3-5 x longer than any imported grill cleaning brush with superior manufacturing methods that virtually eliminate the risk of bristle loss. 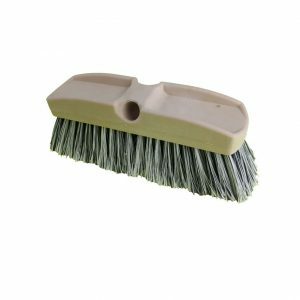 This heavy-duty safe grill brush features a double sided brush head that is perfectly angled to facilitate faster and more efficient grill cleaning. One side contains coarse flat wire to chisel away burnt on deposits. The other side contains round carbon wires to sweep away the loose debris. 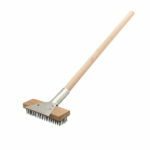 Comes equipped with a 48″ handle to reach difficult areas or large grills without leaning over a hot grill. Recommended by professional chefs and grill masters alike. 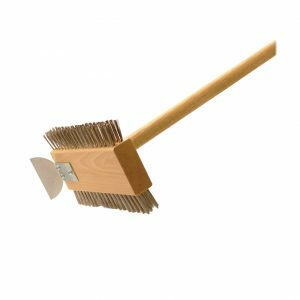 Hardwood blocks are fulled with two kinds of wire for a versatile brush: Super aggressive flat steel wire in 5×10 bows for a chisel-like action to remove burnt-on carbon. Round steel wires in 6×19 rows to remove remaining dust and debris. 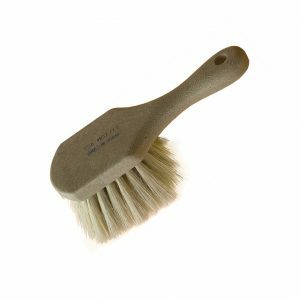 The super strong, and easy-to grip 48″ handle is made of 1″ x 1-1/2″ sanded-smooth hardwood. Made in Canada with high quality North American wire and a Canadian hardwood handle.